at the district library and moved to Visalia Adult School as a clerk in 1993. She later became the site’s attendance technician and currently oversees all attendance and ASAP records as well as TOPSpro Updates. Henrietta’s roles also include supplying requested data reports to the school district and site as well as serving as a proctor for both the CASAS eTest and the GED® exam. At Visalia Adult School, Henrietta is famous for stepping in wherever there is a need, often without being formally asked to do so. She helps make things easier for the instructional staff and has often taken the initiative to streamline processes in order to save teachers an incredible amount of time and effort in their record keeping. When questions arise, Henrietta is willing to work with teachers and give them her tricks of the trade, often putting on hold her own duties to attend to their needs. She continues to attend professional development in order to enhance her skill repertoire and keep up-to-date on data requirements and logistics. Henrietta has been a CCAE member since 2010, and she generously assists with the onsite fundraising events. Henrietta is ever present at Visalia Adult School’s fundraising events, whether it be pouring root beer into floats or making change during bake sales. Whatever the task, Henrietta works with patience and a smile. 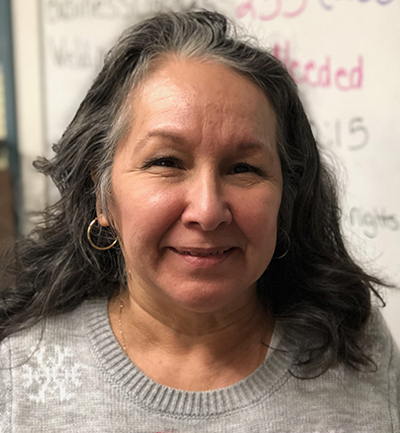 Her “can do” and “how can I help” attitude is a constant as she works tirelessly to meet the needs of Visalia Adult School’s students and staff.